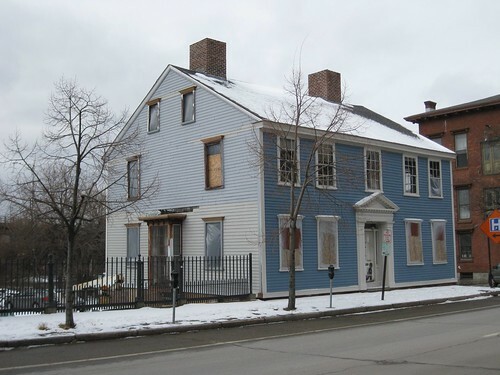 The Captain Joseph Tillinghast House, which has been on the Providence Preservation Society’s list of 10 Most Endangered Properties for the last two years is currently undergoing historic renovation. 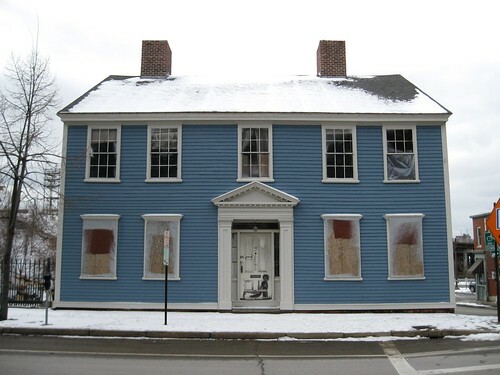 The highly visible house is suffering from severe neglect; the buckling faÃƒÂ§ade indicates problems with the building’s frame. Additionally, the building’s position adjacent to the original I-195 and the riverfront puts it at risk. 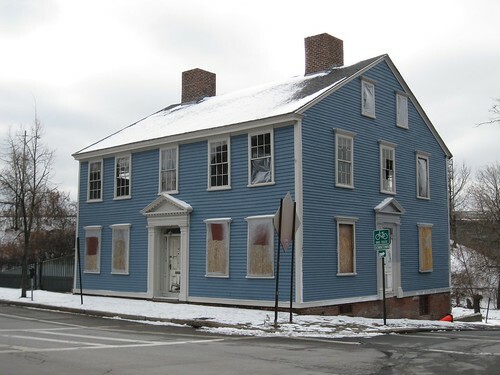 Once I-195 is moved from its original location, the house will be bordering highly desirable, developable land, placing the deteriorating colonial-era structure at even greater risk. It is of course wonderful to see this historic struture getting the attention it needs. I wonder what will be built on the parcels around it once the highway comes down. It’ll be interesting to see how the house is incorporated into the urban fabric created by new structures. It really is a classic 18th century house inside and out. Who is the owner? They could very well be speculating on the site location or might not have the cash to renovate at this time. Lose of the historic tax credit doesn’t help. How large is the lot the house sits on? Are there any vacant lots nearby that are outside this commercial corridor and the 195 land where the building could be moved to? Given the current economic environment even as the 195 land is exposed and brought to market until the bank situation is resolved few will be in a position to borrow for any new projects. I think PPS’ biggest concern about the house when it was listed on the most endangered list, was that it was in the middle of the 195 work, and that it would be part of a larger developable parcel once the highway came down. Damage during the highway demo, then the danger that someone would buy the parcel and demo the house. PPS and others have done some leg work to see that the house will be protected. We can’t be sure who will be on the review committees once the greater parcel gets to be developed, but we’ll have to ensure that what ever is developed, takes the house into account at the design review phase. 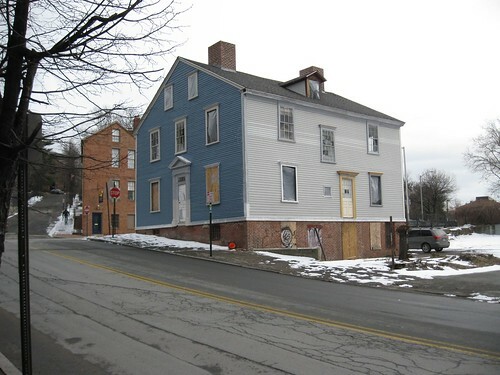 The house currently is very far into historic renovation, the structural issues have been addressed. Moving it is not on the agenda now. I’ll see if I can get some more information from PPS about the current owner and future possible tenants. I’m pretty sure retail won’t be a future tenant as the inside is also receiving an historic renovation and the historic interior is not suitable for modern retail.